Concert and sporting event tickets could become even more expensive if Ticketmaster gets its way. The ticketing behemoth has been accused of using its near-monopoly on the market to form a profitable relationship with scalpers, according to a new report by The Canadian Broadcasting Corporation and the Toronto Star. Because Ticketmaster also operates a ticket reselling service, going into business with scalpers allows Ticketmaster to collect numerous, hefty fees on the same ticket. 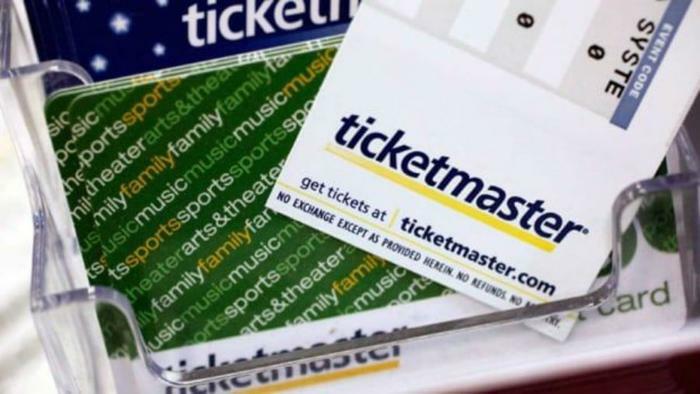 Undercover journalists posing as scalpers attended a ticketing industry conference this summer in Las Vegas, where Ticketmaster employees approached them with an odd business opportunity: an invitation to game Ticketmaster’s site without worrying about getting caught. According to the journalists, Ticketmaster salespeople assured scalpers at the event that they wouldn’t get caught for using bots, false identifies or other tricks to hog ticket sales. "It's not something that we look at or report,” a Ticketmaster representative is quoted as saying. It’s not a secret that Ticketmaster has been able to aggressively inflate the cost of concert tickets thanks to its 2010 merger with concert promoter Live Nation and a notorious fee-based model. Some government research suggests that Ticketmaster and Live Nation fees inflate the price of concert tickets by as much as 27 percent. Music fans may love to hate Ticketmaster, but they often have no choice but to pay its fees if they want to see a show at one of the hundreds of venues across the country operated by Live Nation. Fees now only appear to be telling part of the story behind Ticketmaster’s success. An analysis of a Bruno Mars concert in Canada by the Canadian Broadcasting Corporation also suggests that Ticketmaster arbitrarily keeps hundreds of seats unavailable and raises prices hours or days after they initially go on sale, part of an attempt to artificially create higher demand. As for scalping, it’s not a secret that Ticketmaster has ties to the industry. Ticketmaster for years has operated a resale service of its own in an attempt to compete with firms like StubHub. But consumers who buy resold tickets through Ticketmaster may not realize how much higher the fees will be. In a statement responding to the new reports, Ticketmaster distanced itself from the ticketing business altogether. Taking a page out of the sharing economy playbook, Ticketmaster instead characterized itself as a simple online service that connects people. “Ticketmaster is a technology platform that helps artists and teams connect with their fans. We do not own the ticket sold on our platform nor do we have any control over ticket pricing,” the company said.